The first time I climbed the Elk Range 14er Castle Peak was for my company’s 2004 Griffith Centers Peak Challenge. 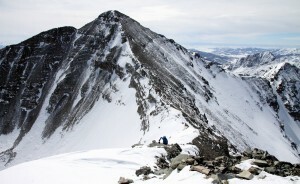 I organized it and selfishly chose Castle Peak as I had not hiked it. 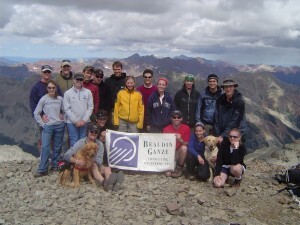 Griffith Centers for Children sponsors 14er climbs every year we try and participate every year we can. Griffith Centers is a great organization that helps troubled children and their families primarily in Denver. 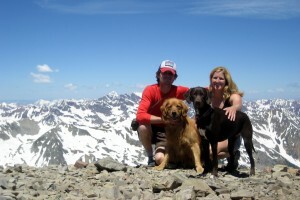 Come to think of it Castle Peak was Rainier and my 1st 14er in the Elks. 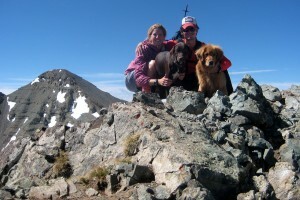 I then learned there was another 14er next to Castle Peak called Conundrum Peak (14,060′). However, back in those days Conundrum was not recognized as an official 14er of the list of 54 due to it not rising 300′ above the connecting saddle with its higher neighbor, Castle Peak. 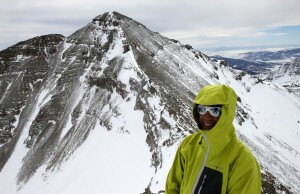 These days, I believe Conundrum is generally included in the 14er list. 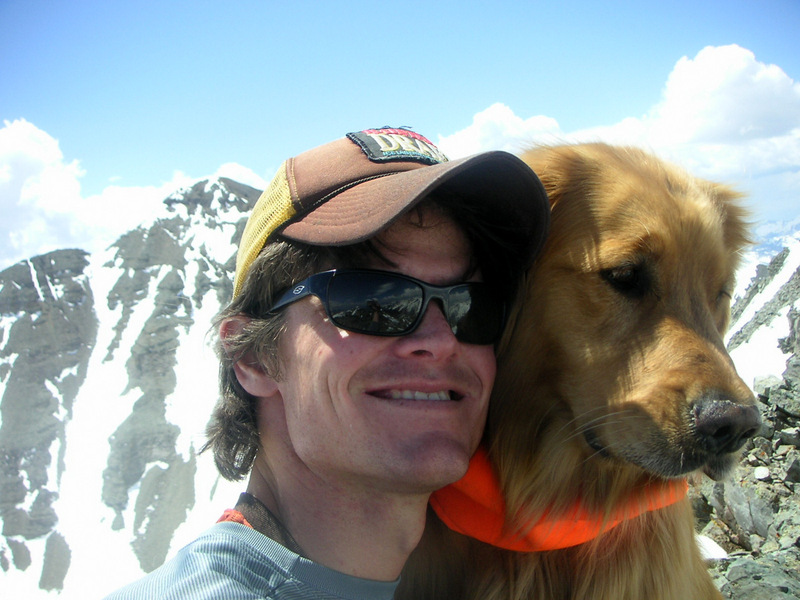 Rainier and I ventured up high into Montenzuma Basin in the spring of 2006 and climbed Conundrum just the two of us. 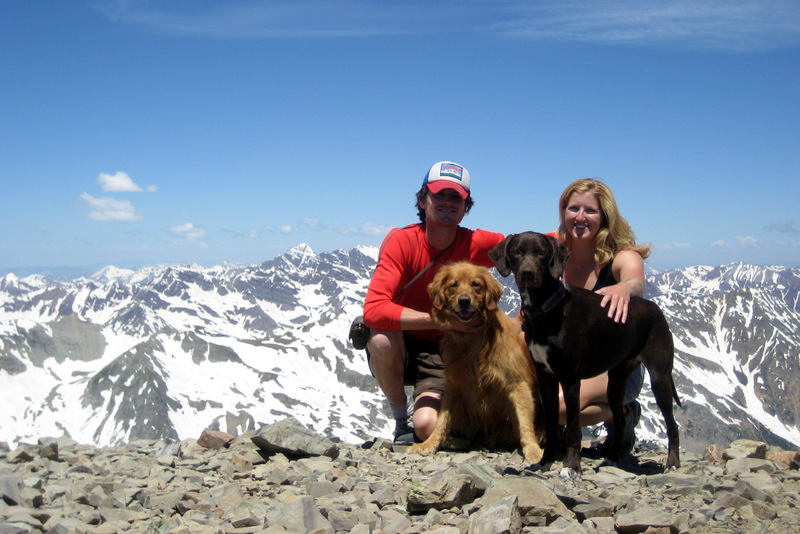 In late June of 2008, Kristine was on her quest to complete the Colorado 14ers and so we all went back up into Montezuma Basin and climbed both 14ers. 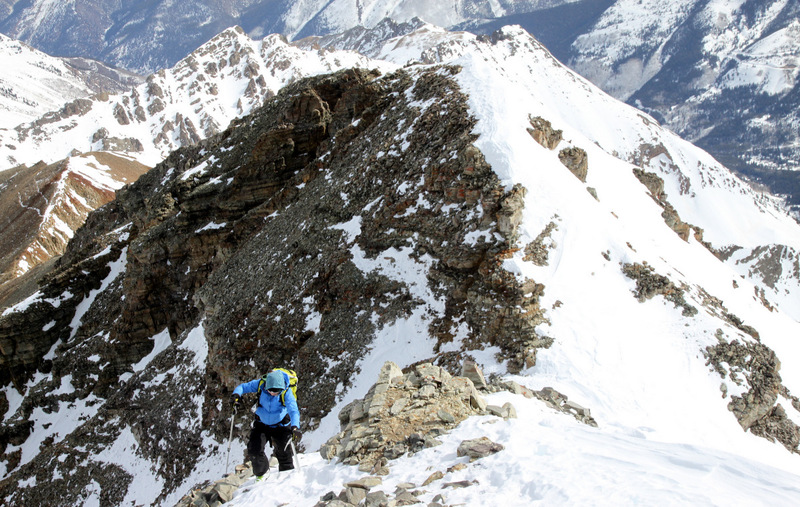 We took more of a sporty line up Conundrum Peak this time via the steeper Conundrum Couloir. 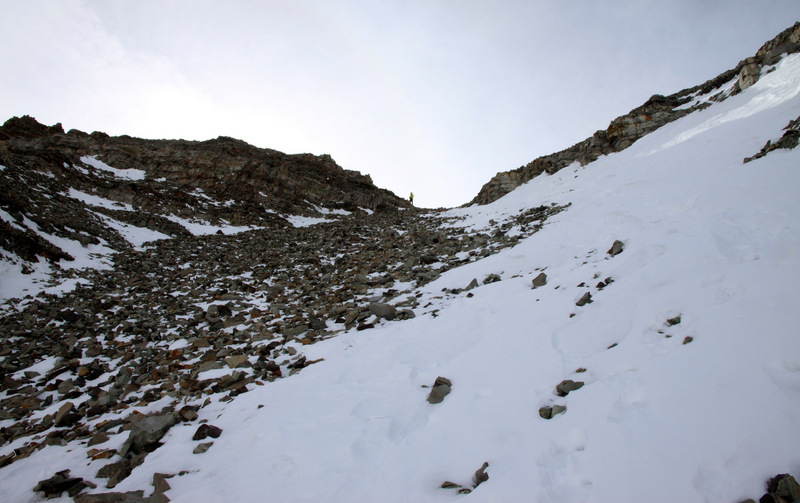 After we summitted Conundrum, we did the fairly mellow traverse over to Castle Peak. 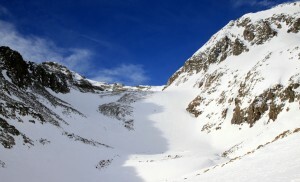 Montezuma Basin offers wonderful skiing and we skied from about 13,500′ all the way back down to the truck. It was a great day. 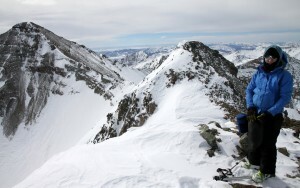 I’ve been skiing over in Montezuma Basin a few times since 2008 but never to go climb those two 14ers. 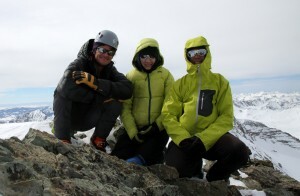 My friend Natalie Moran is on her winter 14er quest and asked me if I would like to join her on these two. After our recent fun climb up Mt. Sneffels two weeks prior, I was itching to get back up on some peaks as well. 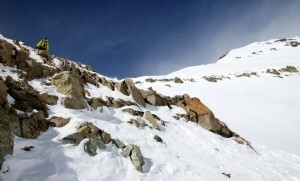 And, the weather has been wonderful from a winter climbing perspective., i.e. 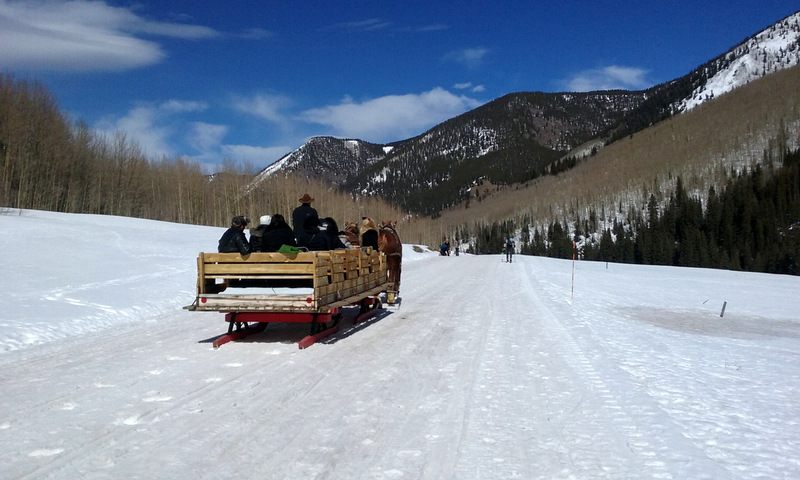 not much recent snow at all leaving stable snow conditions. 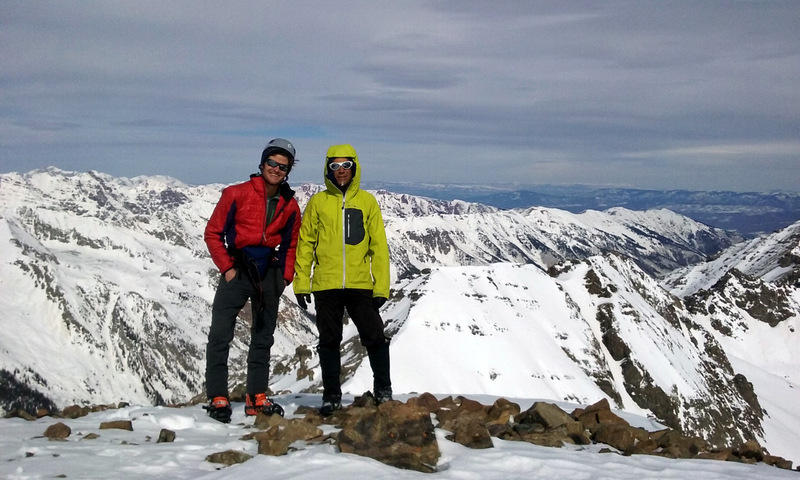 Another friend of Natalie’s, Greg from Crested Butte, joined us as well and turns out that these two 14ers were still left on his winter 14er list. Greg only has 6 or so more winter 14ers to have climbed all the 14ers in winter. Pretty amazing stuff. Plus, Greg is one of the fastest people I have climbed with no doubt. 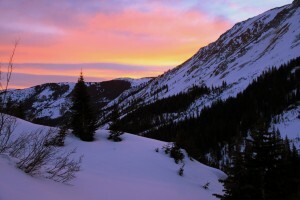 I drove over to Aspen and turned onto the dark Castle Creek Road, went south to Ashcroft and the winter road closure, and parked next to Natalie’s car around 10:30pm. 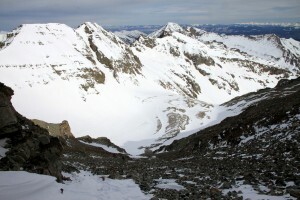 In winter, the route starts much lower with much more distance and vertical gain to climb than in the summer. I believe the roundtrip stats are around 5,500′ and 16 miles in winter for both 14ers. You can cut that in half or more in the summer given how far you can drive up the 4WD mining road in Montezuma Basin. After a rough and very short night’s rest in the back of Kristine’s Subaru Impreza, in which I certainly did not fit, we woke up at 3:15am and got geared up. Greg showed up at our cars and we all began up the road at around 4:15am with Natalie and I on our skis and Greg on foot with his snowshoes on his pack. We made good time the first few miles and eventually reached the point on the road where I had always driven my truck just before the Pearl Pass turnoff. 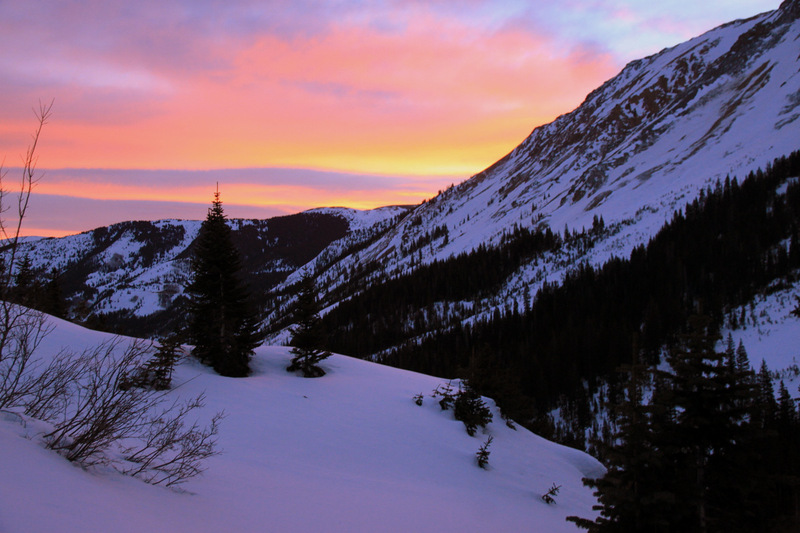 Soon after the morning colors began to light the sky we entered Montezuma Basin. After another hour of skinning, we reached the 12,800′ 4WD summer parking area and looked up at the final headwall to the small glacier below the peaks. 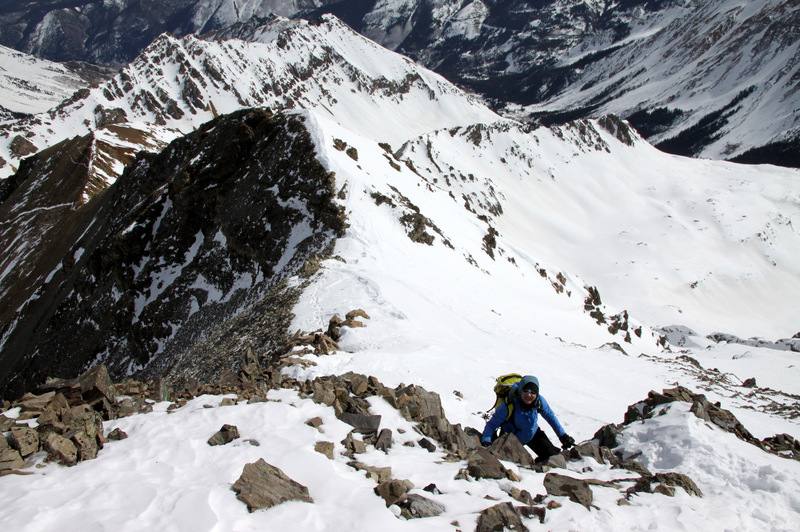 We noticed a skin track up this 600′ headwall and went for it only to find out that is was horribly icy and slick from a skinner’s perspective. 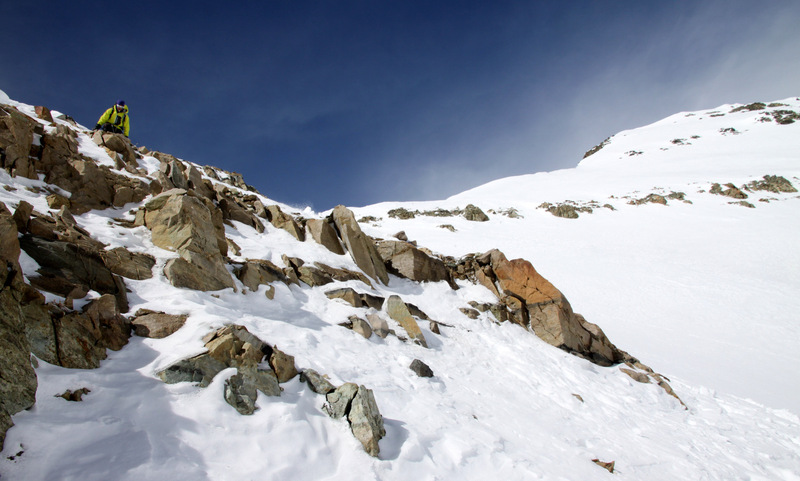 At this point, I certainly wished I just had crampons or snowshoes to go straight up instead of slipping and struggling up the switchbacks. We regrouped in the high 13,500′ basin below Castle’s north face and Conundrum’s east face. 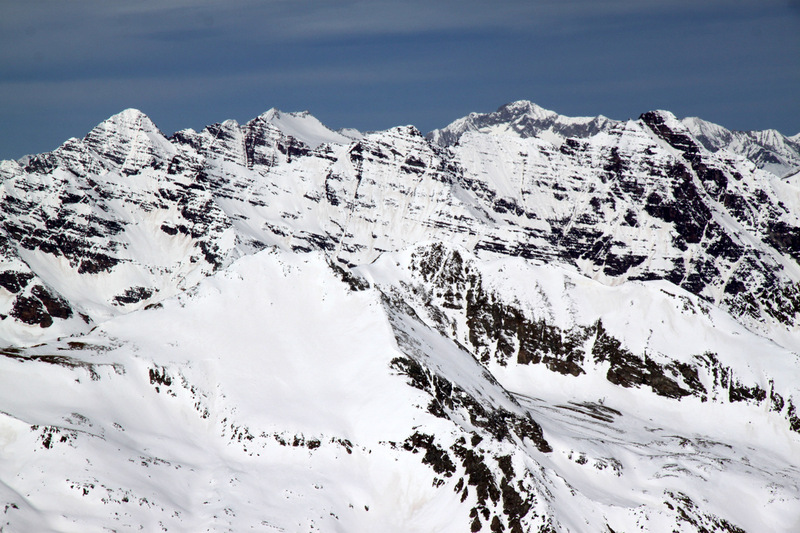 Our plan was to climb to the saddle between the two peaks, but it looked a bit loaded from a snow accumulation perspective and perhaps a bit dangerous climbing it. I was honestly expecting it to be a bit drier. We then chose to climb the steeper north couloir of Castle leaving the skis and snowshoes at the base. The couloir was safe enough but definitely a bit demoralizing as it was littered with scree. Snow only covered a small portion of the couloir and it was a bit unconsolidated at that. 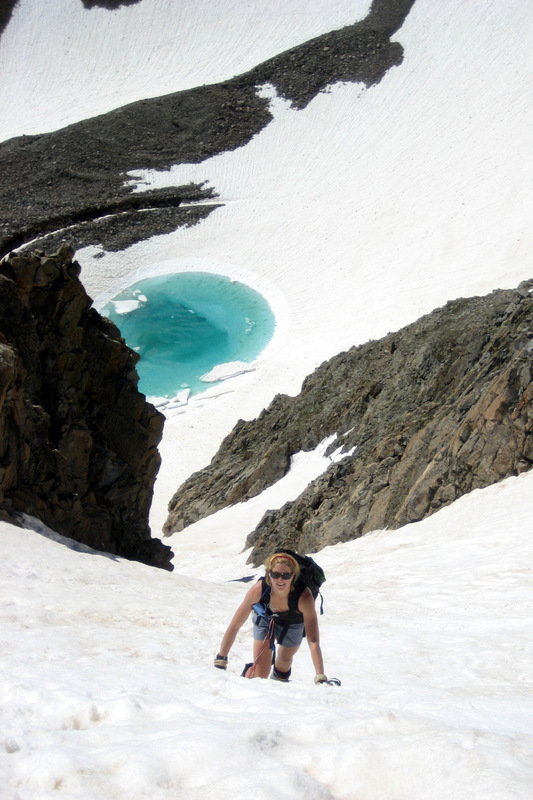 Natalie and I were fighting our own battles in that couloir due to climbing in ski boots on loose, steep scree. 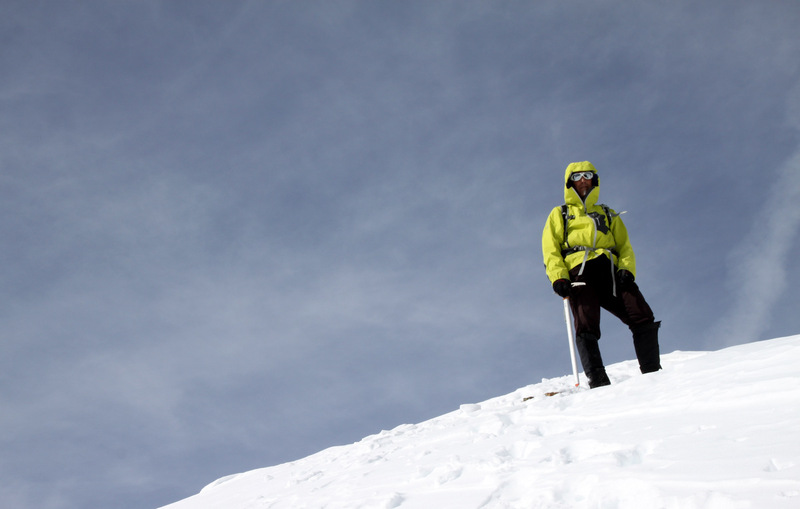 We soon topped out to find Greg lounging at the notch. 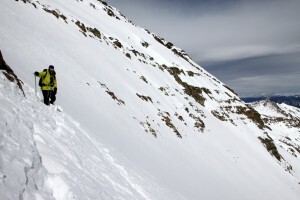 After a quick snack and drink, we left for the summit only a few hundred vertical feet above along the northeast ridge. We topped out on Castle around 11:15am making for an ascent time of around 6 hours. After maybe 15 minutes, we started making the traverse over to Conundrum. Upon reaching the saddle with Conundrum, we scoped out a possible descent back to the high glacier bowl between the peaks. This same route looked more dangerous from below in the basin a few hours earlier in terms of climbing up it, but now looking down it, it looked like a viable route off these peaks instead of reclimbing Castle and downclimbing its north couloir. 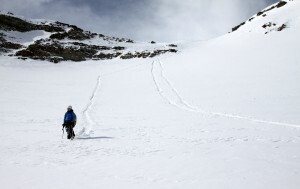 Plus, when you are descending a steeper snow route, obviously your time in the danger zone of going down it is much much less than climbing up it. We tested the snow and it definitely appeared stable with no deliberate slabs waiting to rip. 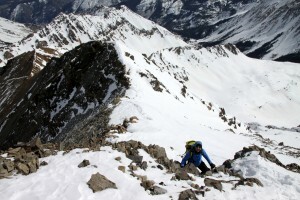 We left our packs at the saddle and made the short climb up Conundrum’s south ridge. I was happy for Natalie as Conundrum had eluded her on her last winter foray up into Montezuma Basin. 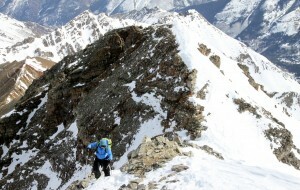 Though, at least she was able to summit Castle that day in late January of last year. 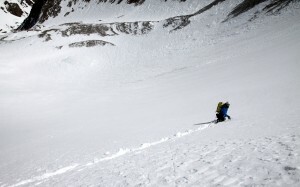 We descended back to the saddle and one by one descended the steep powdery slopes to below the small cliff band. Then, in order to get down the slope quickly, we each had fun glissades for a few hundred feet. A quick traverse led back over to our skis and snowshoes at the base of Castle’s north couloir. 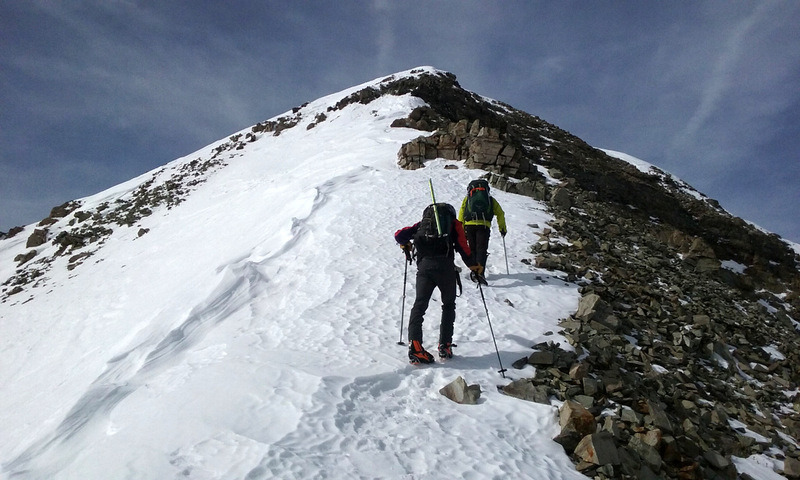 After a snack and some Gatorade, we transitioned back to our skis and shoes and descended. 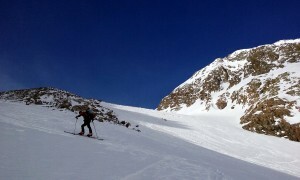 Greg motored ahead while Natalie and I picked our way over to the slope we have both skied before. It was pretty tough snow to ski and I ended up alpining instead of telemarking (as much as I hate to resort to alpine turns) for fear of blowing out my knee. 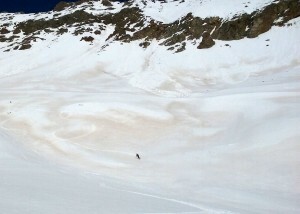 We actually got some nice corn turns down lower in the basin, which was much more enjoyable. Natalie and I skied on out all the way back to the winter road closure at Ashcroft and our cars arriving by 1:45pm making for about a 9.5 hour day. Even though Greg was on snowshoes, he only arrived an hour after we did. He is fast. I had to take off soon after arriving at the cars in order to make a Costco run for the Chalk family on my way home and to catch the Duke-UNC game, of course. A wonderful day out with a fine crew. Happy that Greg and Natalie added more peaks to their winter list and that I could be a part of it. 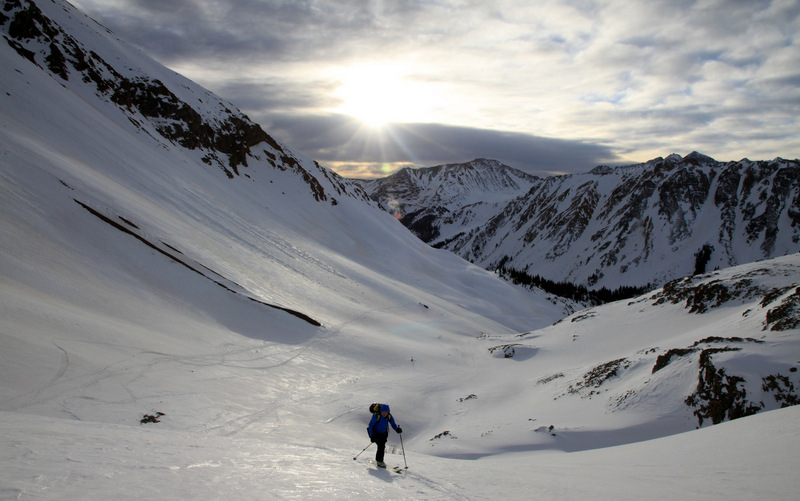 As for the winter 14er list for myself, I need to go back and count (if I am able to) which ones I have done in winter over the past 18 years. I always swore that I was done with lists. However, I guess never say never. 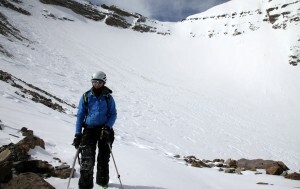 Great write-up, as usual, on a fine winter adventure, Brandon. Thanks for sharing! Thanks for checking in, John. Hope all is well with you & Jennifer, buddy! Nice!! You reports are always stellar, Brandon! Much appreciated, Jay! Hope you are great. 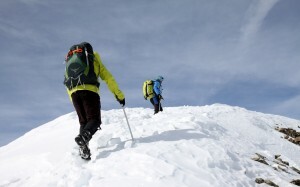 Enjoy these last few weeks of winter! Looks like a nice day up there guys! I’m amazed at how early spring seems to have arrived this year. Here’s hoping for some more snow (I think next week might do us some good). Let’s get out on the skis soon here buddy! Ben, it is amazing how early spring has come this year! It may be calender winter, but it sure is spring conditions. 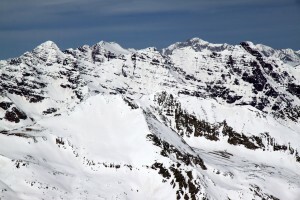 Yeah, ole Gratz is predicting some snow next week. I guess we’ll see what materializes. We do need to get out soon man! Definitely this spring! Glad you like the Chalk family flashbacks. I enjoy doing some digging and finding them – brings back good memories. Rainier was just a pup! Good for you for saving all your old shots. Thanks to Sony and its Vaio line, I don’t have any pictures from pre-2009. Which is a shame cause the Great Gaper Migration occurred in 2010. 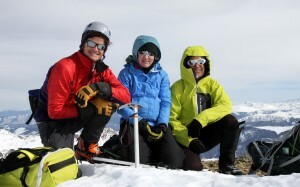 What’s this Winter 14ers BS??? Just a pup, Miller! Yeah, gotta save old those old shots. I just love pics as we all do. Gateways to the past when our minds flee us. Hahaha…Great Gaper Migration!